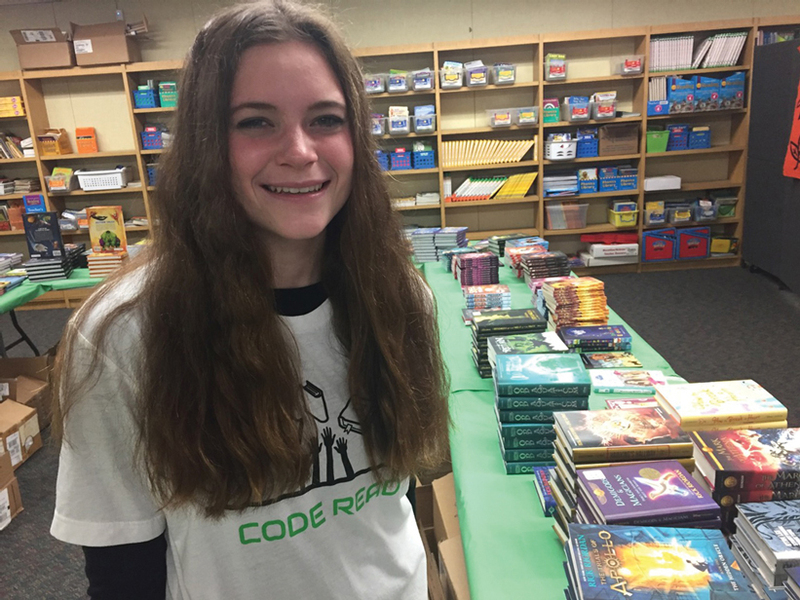 High school student Mackenzie Krestul’s charity, Code Read, held its second book fair May 3, at Tamarisk Elementary in Palmdale. Students, who have had the opportunity to earn “Book Bucks,” were able to trade them in for new books and book bags provided by Code Read. Founded in May 2016, Code Read is an advocate for literacy in low-income communities and aims to encourage a lifelong love of reading. Statistics show that children from impoverished households have access to fewer books at home compared to financially stable peers. As a result, they do not perform as well on achievement tests. 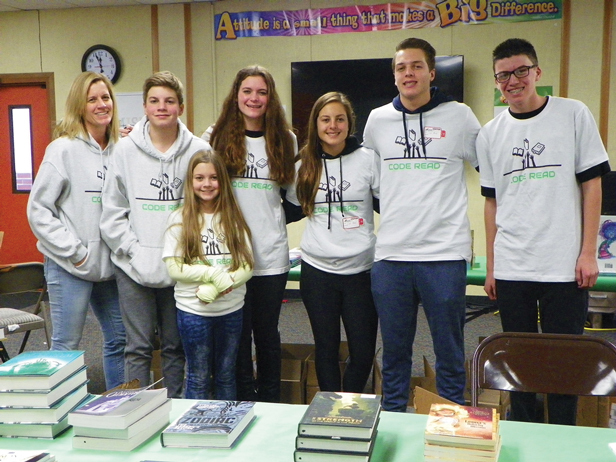 By distributing free books to children from low-income families, Code Read hopes to provide every child with an equal opportunity to increase their academic growth through reading and increase literacy while fostering a lifetime love of reading. Fueled by her own passion for reading, founder Mackenzie Krestul desires to share its positive impact with those who need it most. Mackenzie is not only pouring her time and energy into helping others, for she is also heavily involved in her school. Family Foundation and Costco. 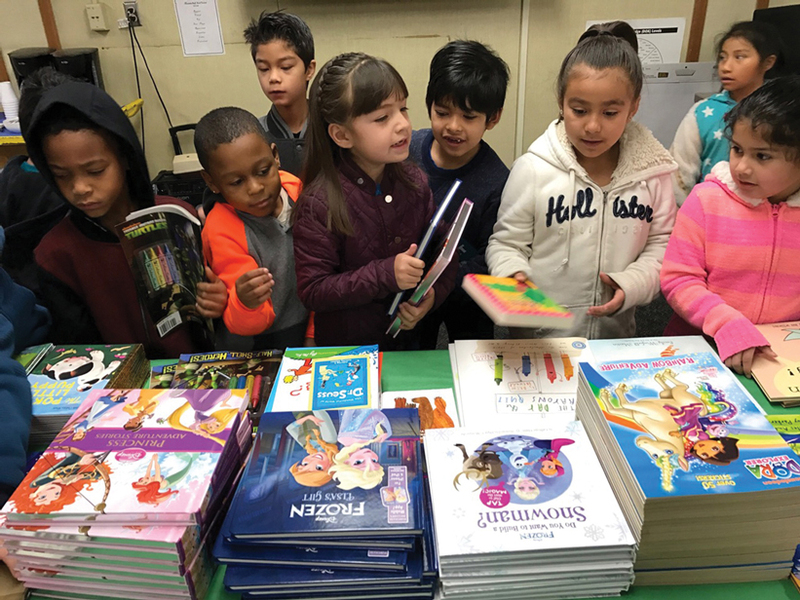 With donations and book grants from charities such as The Molina Foundation and First Book, they have accumulated over 4,000 new books for students in need. 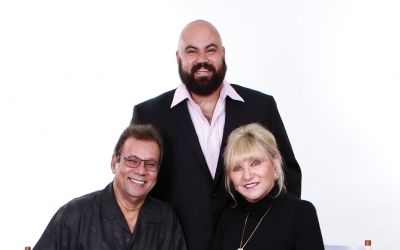 They plan to continue to work with schools in Greater Los Angeles and hope to reach as many students as possible in their mission to promote literacy and a love of reading.